As Changes to depreciation rules were made in 2011 and it surprises me the number of people that are still not up to speed with the changes. The easy solution seems to be to advise property investors that it is no longer worth claiming depreciation. I beg to differ. 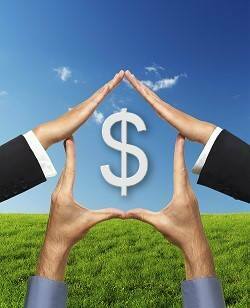 Depreciation is all about cash-flow and as investors cash-flow is critical. Despite the change in 2011 that has removed the ability to claim depreciation on some items including the building structure, there is still plenty to be claimed. Check out our other article on “Depreciation Basics” to get an understanding of what it is all about. Once you understand the basics the following is a guideline to property owners of what you should be considering in relation to depreciation. As you have an interest in property investment you may have heard the terms “Chattels Valuation” and “Depreciation”. Before we begin let’s clarify the term “Chattels Valuation”. I prefer to refer to it as a “Depreciation Apportionment” as what we are required to do by IRD is apportion the purchase price of your property into the various components and depreciation categories, this includes the land and buildings not just the chattels. Depreciation is all about cash-flow and as investors cash-flow is critical. First, you need to understand what depreciation is. The technical term is “An allowance for wear and tear on an asset over its useful life” IRD is aware of this and therefore allow you to claim an amount of depreciation each year as an expense in your accounts. Just as paying the rates is an expense, so is depreciation. The difference is that paying the rates means you open your wallet.